The Great 70 7’s Prophecy outlined in Daniel Chapter 9 is perhaps one of the most sweeping and marvelous statements of God concerning the fabric of time which he has woven around the person of our Lord Jesus Christ. It offers such a remarkably precise chronology leading to the first coming of the Lord Jesus that mockers and scoffers say the book must have been written much later, because no prophecy can be so accurate! Those of us who have a reading knowledge of our English Bibles, and have known the Great Prophecy may yet underestimate its controversy and power in the minds of men. Nevertheless, the precision of the prophecies of the Lord’s First Coming pale (to us) in comparison to those remaining. At the forefront of those prophecies these days may be the condition of the cities of Babylon and Jerusalem. First, the Biblically obvious. God is NOT building either one of those cities today. There is only ONE building by God today, and it is His church, built upon the revelation of God the Father to those who place their faith in His Son, the Lord Jesus Christ, through the power of the Holy Spirit . This work God has been doing since the ministry of the Lord Jesus on earth, and it continues on. Second, the competition over these two cities has marked the history of the world. God has informed the world He will establish Jerusalem – specifically Mount Zion – under His Son. He has equally informed the world that He will not accept man’s establishment of Babylon, whether ante-diluvian or post-Jewish-captivity. There are two relevant historical periods of Babylon that lead us to the yet future third Biblical epoch of that city. The first history of Babylon occurs just after the Noahic deluge (AM 1656), and seems to be especially honored in Western Europe these days. This appreciation by European powers signals an imminent Japhethite rebellion, as that branch of the human family departs from the “tent of Shem,” contemporarily known to be faith in Jesus Christ. This rebellion is prophesied, though the time frame is yet puzzling. Europe itself can trace its heritage back to ancient Babylon. The tribal spread after the confusion of tongues no doubt accounts for all the European people. In fact, Europe is probably more rooted in the “land of Shinar” than America is rooted in Europe! The only influence that has deterred Europe from embracing its pagan past has been Bible influence. With that now ebbing, Europe’s return to paganism is headlong. Indeed, “Europe” itself is named after the pagan (Greek) mythological creature Europa which eerily correlates to symbolism found the the book of Revelation . The second prominent epoch of Babylon featured God actually handing world-rule to the Babylonian King Nebuchadnezzar at the commencement of Judah’s captivity (497-498 BC). This world-rule has continued in Gentile hands ever since. Importantly, Nebuchadnezzar spent seven years as a “beast” for his high-minded presumptuous boasting against God. That 7-year “beast career” of Nebuchadnezzar prefigures the 7-year career of the “beast” who is yet to come – the Man of Sin – which marks the time immediately preceding the full venting of the wrath of God, and which is connected to the rebuilding of Babylon, and its prominence in the world. So we know the end of the affairs of men and their culmination point. As much as our current affairs run on vectors leading to that end, we can see some directions emerging. First, we see the world’s attention once again on the “land of Shinar” and Babylon. That land is presently being ruled by America and Britain, whatever others may claim. The condition of that land is very fluid. With the change of course indicated by recent US elections, it is possible to see the EU and the therefore the UN taking a primary role in that territory. Second, with the business ambitions of oil-rich Arab states such as the UAE and Saudi Arabia so apparent, it’s conceivable that a large-scale global project might well get underway to rebuild the metropolis of Babylon. The “global economy” needs a large scale project to absorb the enormous cash reserves piling up from windfall profits in oil, and the consumer-debt-based trade imbalances in China and India. These cash reserves are so enormous, they present a challenge for any endeavor to have massive enough scale, short of a global war. The building of an opulent city/trade center as pictured in the Scriptures – Babylon the Great } – may be just the thing to fulfill the need, and bring to pass a new financial and monetary system to replace the one established in the early 70’s that is obviously now unsatisfactory, if not completely bankrupt. Flamboyant Arab ambitions readily visible in areas such as Dubai and Abu Dhabi (UAE) could find a more suitable target in the rebuilding of Babylon, and European West financial interests would jump at the chance to make a new financial capitol which is neither dollar nor pound based. Bible students look for the rebuilding of this city which has ever tended to rebel against God. The confluence of human ambition, rejection of God’s plan for the nations in their divisions, and the “peace and safety” movement all could find their focus in the establishment of a new world capital that is free from Christian influence, national identity, and the moralities that attend those establishments. Third, we would anticipate a role for the Roman Catholic Organization, Islam, Hinduism, and wayward Protestantism in this endeavor. Indeed, the Vatican, which is the center of the ancient Babylonian priesthood, could contribute some of its considerable fortune to a project like this one, and even move its capitol into this newly built city, as a good citizen in the Global Chamber of Commerce. We look for radical changes centered in the economics of our day as part of the falling away from the faith of our fathers. We know Babylon will rise again to dominate the world landscape financially, politically, and religiously. We also know that it will fall in a single day when it is judged as certainly as Nebuchadnezzar was judged. What would you particularly mean by The Bible students want to rebuild the city of Babylon? was’nt Babylon meant for God. That all his people are Babylon? correct me. Babel was a rebellion. Babylon the real meaning is for Him. 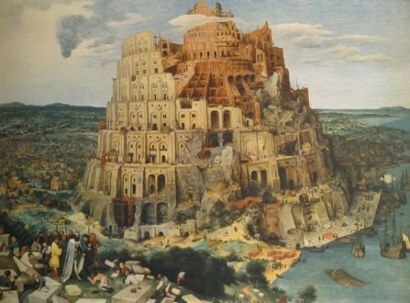 The words “Babel” and “Babylon” mean confusion. Confusion is not anything about God. I believe that the King James is the inspired word of God. I believe that any confusion from Bible scripture is from interpretation. With that said, I will submit some of my interpretations of what I believe from the Bible. I believe that all false religions came from the tower of babble. The Catholic Church (being one of them) is the mother of harlots and has many off springs. Babylon will be rebuilt. The Vatican will be destroyed; two religious organizations will take the ashes of the Catholic religion and re-establish it in the city of Babylon. The tribulation is just that (tribulation), it is not wrath; God pours out His wrath on Babylon when the sixth seal is opened and Jesus is seen coming with power and great glory. The Sun and Stars are darkened and the moon does not give her light. Time as we know it is no more. The sun doesnâ€™t work. In one hour, Babylon and the 10 kings that have just accepted power and authority with the beast will be destroyed. “And the slain of the LORD shall be at THAT DAY from one end of the earth unto the other end of the earth: they shall not be lamented, neither gathered, nor buried; they shall be dung upon the ground”. When the Bible (from Isaiah forward, the term “THAT DAY” refers to this same event. It is the â€œDay of The Lordâ€. So much more but I need to quit here. Doesn’t the bible read that the physical Babylon will never be built up again? What is this about being built and then destroyed in a day? 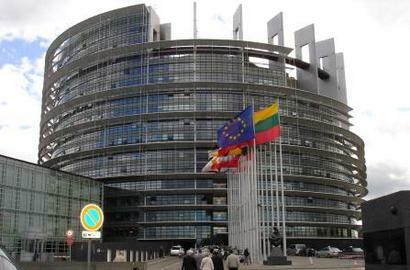 the tower that built by iraqies befor 4000 year , today is build in urope it is a unbelievable truth. If we follow the words of the Bible then we find that we should not be rebuilding! Now that we as a country have come full circle now is not the time for a president of this nature to rebuild a city of curuption when Washington is already there. The reserve monies should have been put back into the country and get the US out of what the banks have put us in. You know the tower of Babel was built to honor Marduk, right? The whole thing about it being vast in height was a gross exaggeration in part due to inaccurate historians. It didn’t really fall, it crumbled away like most ancient architecture that is not cared for. Quit getting mad at people who’ve been dead for thousands of years. When you think about it, they just wanted to worship their god, its was the Jews being jerks by calling them heathens and the like. By the way, everyone is a heathen to some religions, get over yourselves. Alex, actually they didn’t just want to worship their god. They wanted to change the knowlege of the true God into some other thing that they could use to ursurp power and authority from God. If God had not graciously confused their language, they would have been right back to where they were before the flood, which would have required further judgement from God. The Jewish nation had not even been born at that time, so how do you say they called them heathen? Maybe you just made that up, eh? I don’t care what other men might call me. And they’ve called me far worse than heathen. It is what God calls me that matters. I got over myself long ago and believed in the Lord Jesus Christ, and now I have His righteouness imputed to me. You can too. Otherwise, your sin remains, and judgement is coming. just a humble suggestion that it is not the European Parliament but the Burj Khalifa, this tower that is half a mile high just finished in Dubai, that is the most likely instance of the Tower of Babel, and that city, rushing to glitter from rags, is itself the new Babylon.